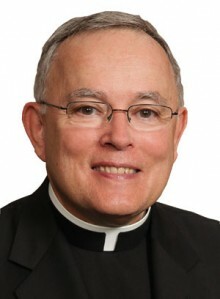 Archbishop Charles J. Chaput, O.F.M. Cap., issued the following statement on the April 8 release of “Amoris Laetitia” (“The Joy of Love”), Pope Francis’ postsynodal apostolic exhortation on the family. See the full pdf document here. Amoris Laetitia is a serious and extensive reflection on Christian marriage. While it changes no Church teaching or discipline, it does stress the importance of pastoral sensitivity in dealing with the difficult situations many married couples today face. Pope Francis is skilled at analyzing the cultural forces that make Christian marriage a unique witness, and often a special challenge. His recognition of the importance of children and the value of adoption are great expressions of support for family life. Happily, the kind of pastoral discernment called for in Amoris Laetitia is already happening in many of our parish communities, and the Holy Father’s encouragement, coming just months after the World Meeting of Families, is a great gift. Amoris Laetitia is unusual for its size – more than 250 pages – and the Holy Father himself cautions us to read it with patience and attention. This is sound guidance, especially in the scramble that always takes place to stamp a particular interpretation on important papal interventions. My own more developed thoughts will be forthcoming. In the meantime, we can be thankful for the Holy Father’s thoughts on an issue of real gravity. Nothing is more essential to any society than the health of marriage and the family. Amoris Laetitia es una reflexión seria y extensa sobre el matrimonio cristiano. No cambia ninguna enseñanza de la Iglesia o disciplina, pero sí subraya la importancia de la sensibilidad pastoral en relación con las situaciones difíciles que muchos matrimonios hoy en día enfrentan. El papa Francisco es experto en analizar las fuerzas culturales que hacen del matrimonio cristiano un testimonio singular y a menudo un desafío especial. Su reconocimiento de la importancia de los niños y el valor de la adopción son grandes expresiones de apoyo para la vida familiar. Afortunadamente, la clase de discernimiento pastoral que pide Amoris Laetitia ya está sucediendo en muchas de nuestras comunidades parroquiales, y el apoyo del Santo Padre, pocos meses después del Encuentro Mundial de las Familias, es un gran regalo. Amoris Laetitia es inusual por su tamaño –más de 250 páginas– y el mismo Santo Padre aconseja leerla con paciencia y atención. Éste es un buen consejo, especialmente en la confusión que siempre tiene lugar para dar una interpretación particular a las importantes intervenciones papales; daré a conocer mis propios pensamientos más desarrollados. Mientras tanto, podemos estar agradecidos por los razonamientos del Santo Padre en una cuestión de gravedad real. Nada es más importante para cualquier sociedad que la salud del matrimonio y la familia. + Charles J. Chaput, O.F.M. Cap. this synod has flipped Christ’s Teaching completlely over so i can agree that is very,very serious indeed. Please i invite anyone reading to please ,stop, and pray to only know and follow what the Savior has Commanded. This will cost u but look what He suffered for u,for all of us.This testing ground on earth is so short,please dont see His Words in Bible as passe’ or needing an update. Pls consider having this letter read from all of the pulpits in the archdiocese THIS weekend. It’s important to hear from you directly that Church teaching has NOT changed and it’s important that Catholics get that message right away. Would you please comment on Pope Francis’ affirmative endorsement of the Kasper Proposal in footnote 351? In paragraph 305, to which this footnote refers, the pope states plainly that he is speaking about those living “irregular situations” — which, for all but the most willfully obtuse, AT LEAST means civilly divorced individuals now living in adulterous relationships. In light of Familiaris Consortio 84, to say nothing of the Church’s perennial and bi-millennial teaching, which expressly prohibit such actions, how is this not permitting sacrilege? No one on earth can condemn someone else forever. Only God can. For a person to commit mortal sin, there have to be serious matter, awarenes of that seriousness, and consent. There are many people that do not meet these three conditions. That does not mean that we approve of their ways. Pope Francis encourages you and me not to condemn others too rashly, but to be merciful enough to gradually help them change their ways. I have witnessed “conversions of the heart” in a good number of people.